Zen wisdom states that nothing is permanent. Times of prosperity, of happiness, of health will be followed by difficulties, sadness, and challenges. This isn’t up for debate; it’s the cycle of being alive. Zen practitioners focus their breath and awareness on being fully present in every state, uncomfortable or otherwise, recognizing that while one can’t control outside forces, one can recognize what’s actually happening and the corresponding emotion. It’s easy to ride along on a wave of good feelings when things are clicking in your professional life, your romantic life, with your hobbies. Thoughts like, ”oh I must be doing something right” or “it’s finally working out” are not uncommon, for me and probably for you, too. It’s easy to pretend that this new state will last, indefinitely. 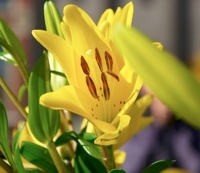 And then, when difficulties arise, the first inclination is to assign blame, rather than accept this natural cycle. When you’re bogged down with a virus or encountering slammed doors everywhere you turn, it becomes nearly impossible to acknowledge that this negative pattern will also change...just as the positive state had. I’ve thought about – and experienced – these concepts more concretely during these past few months that I’ve been baking bread three days a week than ever before. (I guess this is part of the reason that Zen centers frequently have a bread baking program!) In the early stages of scaling up and learning new recipes and getting used to rhythms and schedules, my awareness was never higher. I was careful with measurements and methodical with mixing, each action closely observed. I felt nervous and jittery, but resided in those feelings as a “temporary” experience, believing that confident days were around the corner. I forgot one crucial piece though: the confident times would also be temporary. 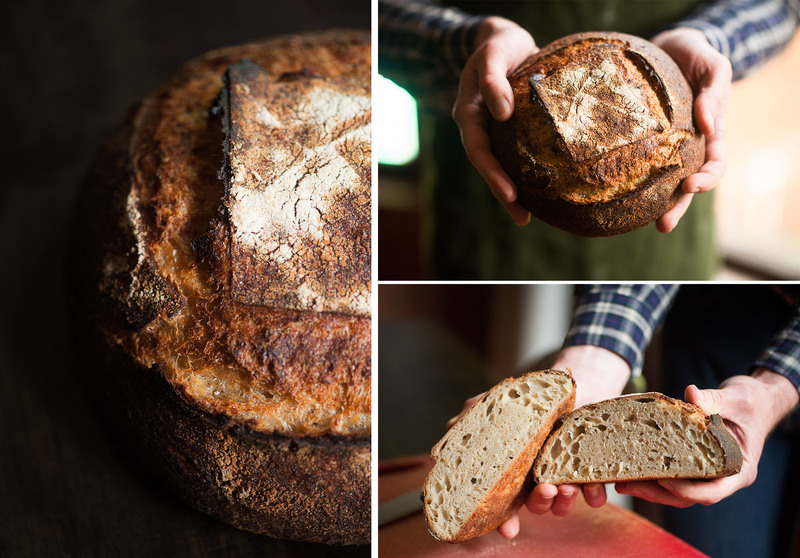 About a month ago, I finally felt pleased with each ferment, each bake, and even the visual appearance of the bread. I remember wondering what challenge I’d encounter next, but because I was unable to predict what that challenge would be, I still felt bowled over when it finally appeared. One night, I loaded in three loaves I felt especially proud of – the shape and scoring were ideal – dumped in the ice and set my timer for fifteen minutes. I came back into the kitchen to remove the cast iron skillet, opened the door, and audibly gasped. The loaves looked ridiculous: misshapen, various micro explosions across their bodies, puffed up bases that resembled mushrooms, scores that hadn’t opened. I felt especially distressed because I still had more loaves to bake that night and had no insight into what had gone wrong. Just like that, the challenging times were back. I could choose to wallow in my ugly loaves, could call myself a bad bread baker who had just been lucky in the past, could dump the rest of the dough. Or, I could recognize this as a typical bump in the road, and focus on the problem at hand, not the misshapen loaves cooling on a rack nearby. (I may have thrown a towel over them so I didn’t have to look at them. I’m not perfect.) I knew the problem wasn’t with the ferment, I didn’t think the scoring was to blame, the oven temperature was the same as always. The problem had to be my steaming method. But what part? I teased apart the components of steaming, while accepting that the next bake might be ruined, too. I determined that the cast iron skillet had become incredibly rusty and this might be impeding how the steam was being released. If the ice began steaming four minutes into the bake instead of immediately, this could explain the weird rise on the bread and the cracks on the bottom. Secondly, as I had become more confident in adding the ice without giving myself a steam burn, I realized that the ice wasn’t hitting the skillet in the same way on each bake. Sometimes it was more focused on the left side of the skillet and sometimes it was central – the steam might not be evenly distributed in the oven after I shut the door. I didn’t have time to thoroughly clean the skillet before the next bake, but I did change my ice application – a change that had no effect because of the level of rust. More ruined loaves. The next morning, I scrubbed the skillet down and on my next bake a few days later, loaves baked as they should, especially when I remembered to add the ice slowly and directly in the center. Great, problem solved. A few more weeks of good bakes, a rising confidence, and then... the next issue. One night I loaded in some country loaves, the loaf style I’ve baked the most of any, walked away for the fifteen minutes, returned, and again faced a horror show inside the oven. The loaves had risen, sure, but they were monsters, bulging in places they shouldn’t, their oval shape transformed into tumor-like amoebas. I had “solved” the steam problem, so what was this? I felt especially dejected, because I internalized the steam issue as my last hurdle to baking perfect bread. As the bulbous breads cooled, I searched the internet, consulted with my husband, truly unsure if this was a solvable problem. My brain searched for something to blame, as it’s want to do in difficult times. I decided that it must be the oven — I wouldn’t have this problem with a professional deck oven. Once I felt more rational, I examined the loaves and sat with their ugliness, realizing that, just like my movements had become quick and unaware with ice application, I had started scoring my loaves with confidence not yet earned. I was slashing them up like I had seen master bakers score on the internet. If someone was filming me, it might have looked like I knew what I was doing, but in reality, my loaves were getting cut at different angles and at different depths. And when those loaves were loaded, the scores were affecting the overall shape and appearance. Super deep scores were bursting open, leaving no room for the smaller scores to open. But just as the steam issues escaped a single solution, so too did this scoring challenge. I had to scale back my confidence and speed, sure, but I was also using the wrong tool for boules. My lame (the tool that holds a razor blade) had created a curved blade. 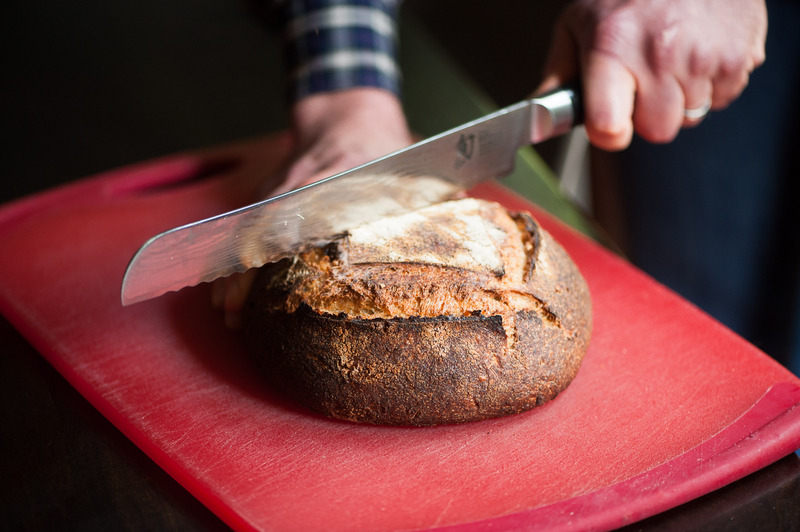 Curved blades are ideal with scoring batards and baguettes – they create ears and help elongate the loaves. But I needed to score my round loaves at a 90 degree angle with a straight blade. So, I removed the blade from its holder, and the next time I baked, I carefully scored at a perpendicular angle, attempting equal depths with cut. The bread came out well; I assimilated the knowledge, and moved on to my next challenge. 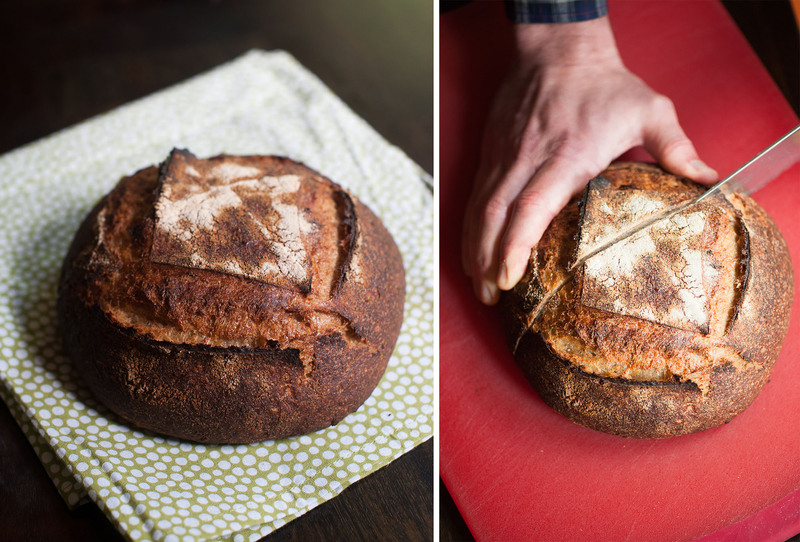 This challenge just happened this week, and it all surrounded one style of bread that I hadn’t previously made. 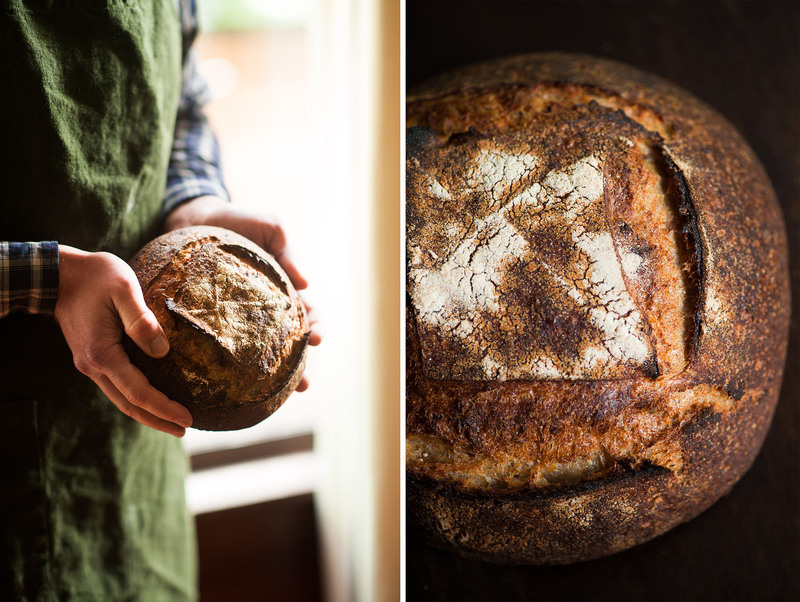 I use and tweak bread recipes from Chad Robertson and Sarah Owens, and occasionally baking from Zachary Golper’s Bien Cuit. I started Sarah Owens’ Honeyed Spelt and Oat Sourdough, scaling up the recipe for eight loaves, and as I looked at the ratios, I was immediately confused. The hydration (amount of water compared to the amount of flour) was incredibly low. To clarify, her eight small loaves were to use the same amount of water as two large Robertson loaves. This seemed odd to me, but I usually follow recipes faithfully the first time, whether it’s bread or something else, accepting that there might be an explanation in the final result. The oat sourdough relied on both a leaven and a soaker of rolled oats that had been steeped in boiling water overnight. I assumed that Owens’ water content was low because the soaked oats would provide a level of hydration. But when I woke up the next morning, the oats had absorbed all of the water, and as I mixed the components together, it was like mixing cement. My husband found me crouched on the flour, pounding the dough into submission, working up a sweat at seven in the morning. When the time came to shape the loaves, I observed how little they moved when I stretched them. When I pulled out the first bake, the loaves weren’t “bad” necessarily, but they were strange. My light scores had transformed into deep gashes – it looked like I had taken a butcher knife and slashed the bread into four parts. On my final bake of the night, the loaves looked even stranger. Not only did the scores look nothing like my original scores, I pulled out mushroom loaves, the bottom cracking open, the scores opening haphazardly. The first six looked similar to each other; the final two resembled members of an entirely different family. This was going to be a hard problem to figure out, but I was armed with newfound patience from my previous problem solving attempts. Again using my husband as sounding board, as I problem solve best out loud, we discussed the differences in this bread compared to other bakes. The final two loaves had been scored slightly differently than the first six – my scoring was off centered and less uniform. Maybe these loaves were super finicky and unforgiving with anything but perfect scoring? I mentioned that I was using a new flour in this bread for the first time – a stand in for bread flour with a particularly high gluten percentage (14.5% protein). Usually when I use bread flour, I use true bread flour and temper it with all purpose flour. In this case, I had gone all in and used this high gluten flour exclusively, not tempering it in any way (as the recipe also relied on spelt flour, which has a lower gluten percentage). I believed the loaves had basically exploded from their scores due to the high gluten content. I settled on the high protein as the reason for the strange bread: all I needed to do was to temper this high gluten flour with all-purpose to bring the protein percentage down to a more reasonable 13%. This simple change would surely solve the problem. So, I reworked the ratios and mixed the ingredients, but the dough was still sticky like concrete – perhaps marginally less sticky. I shaped them and when the time came, scored incredibly carefully. The first four still looked different from my normal loaves, but they were pretty and uniform. But, as before, the last two loaves emerged from the oven misshapen and odd. I had once again become too confident in my scoring and the scores weren’t deep enough – instead of the scores opening, the steam had opened the bottom of the loaves. I didn’t want to throw in the towel on this loaf. Its flavor, even when coming from an oddly shaped loaf, is spectacular – like warm buttered oatmeal. It’s completely delicious and the flavor had quickly become one of my favorites. As I got ready for bed that night, I kept talking out loud about the loaf. I had researched online to see if anyone had baked this bread. My search resulted in very little except one comment about how “wet the dough was”. This comment had made me laugh at the time, because my dough was the opposite of wet and loose. I recounted that comment to Justin and something clicked. The hydration was way too low. 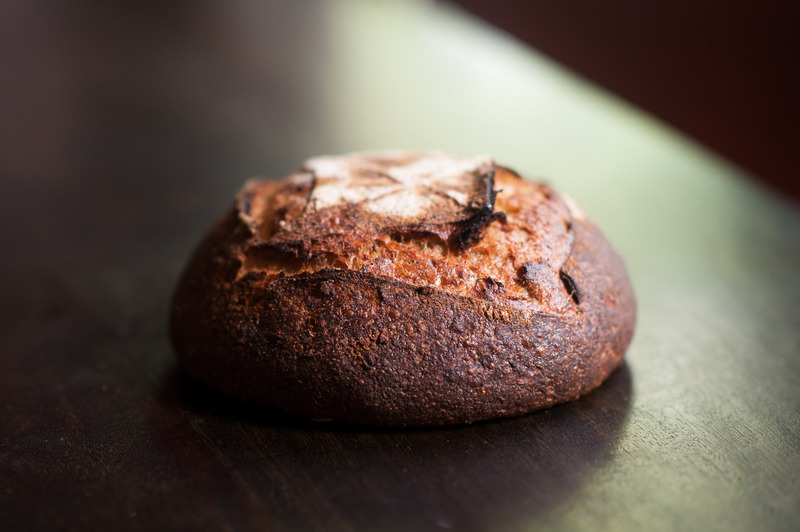 Robertson’s similar soaker breads are all around 75% hydration – wet, but not unmanageable. This bread was 42% hydration! More flour and oats than water...how had it risen at all?! I flipped through Owens’ book to confirm that other breads, even those with soakers, had a fairly high hydration. I then calculated what a 77% hydration number would be. Well, Owens lists the water as 245g. And a 77% hydration bread is 425g. Just one flipped number and the entire recipe changed. I believed I had found a printing typo, and to confirm my gut feeling, prepared an overnight leaven for a single 77% hydration loaf to bake the next day. In the morning, it was wet and sticky and very pliable. I scored it carefully (I didn’t want to ruin my solitary experiment! ), added the ice carefully, and held my breath. The photos in this post are from that single loaf, one of the prettiest and tastiest loaves I’ve ever made. Though the real culprit was ultimately a typo, the journey to discovering that typo was more enlightening than if the recipe had been written correctly in the first place. I had to reside in the challenge. I learned more about my scoring and about protein percentages of bread, a topic I know I’ll dive more into when I start baking breads from Tartine 3. I also learned to sit with this discomfort, and to embrace the problem solving aspect of it. I know this won’t be my last challenge, and while I’ll never be able to predict the next reason for a bad bread bake, I will know how I’m going to approach it when it happens – with patience, acceptance, and an embrace of the unknown. Now, onto the next bake! When I went to bed last night, I inadvertently rubbed my arm and felt something crusty and scaly: leftover dough stuck to my body, clinging there despite repeated washing of hands. Justin thoughtfully bought two Pullman pans and a copy of the new Meyers Bakery cookbook for my January birthday.